U.S. Army Capt. Simratpal Singh has been granted a temporary 30-day religious accommodation allowing him to serve in the military with his Sikh articles of faith — turban, long hair, and beard — intact for the first time since he began his training at West Point in 2006. He had never cut his hair or beard before in observance of his faith. Although the accommodation is temporary and will be either confirmed or reversed on Jan. 8, 2016, it is significant because it is the first time ever that a Sikh-American soldier has been granted a religious accommodation in the Army after already serving. Prior to this, all religious accommodations had been granted to recruits. "We demand that the military take the next logical step to allow all eligible observant Sikhs to serve,” Harsimran Kaur, legal director of The Sikh Coalition, told NBC News. “For the military to include observant Sikhs would send a message that all religious and ethnic minorities are part of the fabric of America — and have a right to equal participation." Before 1974, Sikh Americans were allowed to serve in the U.S. military with their articles of faith intact. However, since 1981, stricter grooming regulations have required new recruits to request religious accommodations on a case-by-case basis. Since 1981, only three Sikh Americans have received religious accommodations: Maj. Kamal Singh Kalsi, Capt. Tejdeep Singh Rattan, and Corp. Simranpreet Singh Lamba. "Capt. Singh is proof that serving God and your country aren’t mutually exclusive,” Eric Baxter, senior counsel at the Becket Fund for Religious Liberty and co-counsel for Singh, told NBC News. “As for many Americans, Captain’s Singh’s religion is part of what has inspired him to put his life on the line for others," Baxter said. 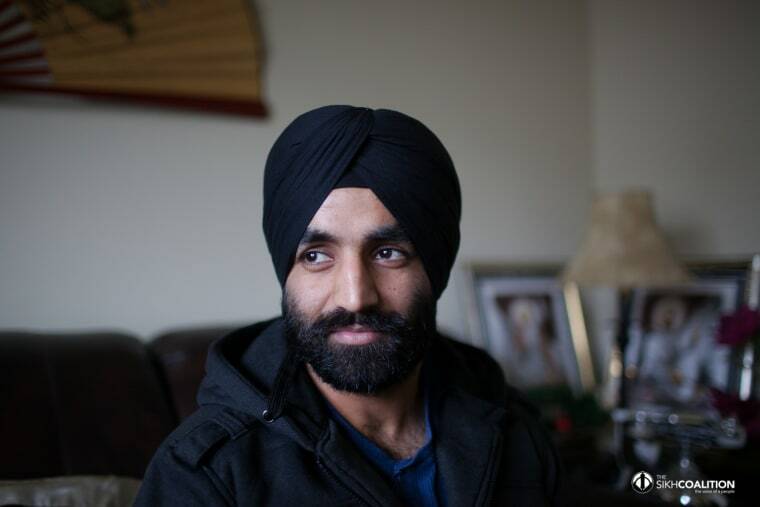 "Now the military needs to make his exemption permanent and stop discriminating against other American Sikhs who want to serve in the military." Last Veterans Day, 27 retired U.S. generals urged the U.S. Department of Defense to allow Sikh Americans to serve with their articles of faith intact, arguing that Americans should not have to choose between observing their faith and serving the nation. Others who have spoken out include 105 members of the House of Representatives, 15 U.S. senators, and 21 national interfaith and civil rights organizations. Corrections: An earlier version of this article stated that Singh had not cut his hair before joining the Army. His hair was cut when he was a cadet at West Point, prior to joining the Army. Also, an earlier version of this article did not state that Singh's accommodation was the first granted to a solider already serving.